Another crazy week for me! 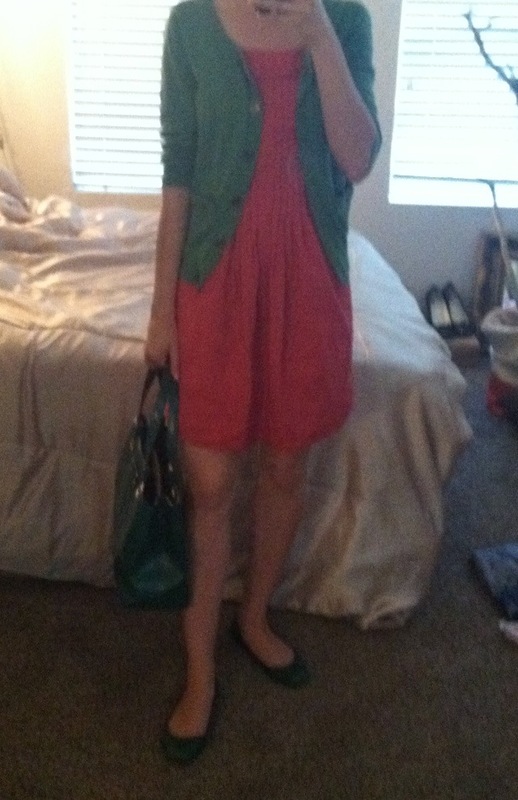 I have been remembering to snap outfit pictures though! I’ve been trying to explore new things, but I have been so swamped, I’ve taken to grabbing something close that is clean and looks halfway decent! Sadly I didn’t get an outfit shot Sunday before I got ketchup on my pretty white shirt (oops!! ), but I did wear my red sparkly flats all day. 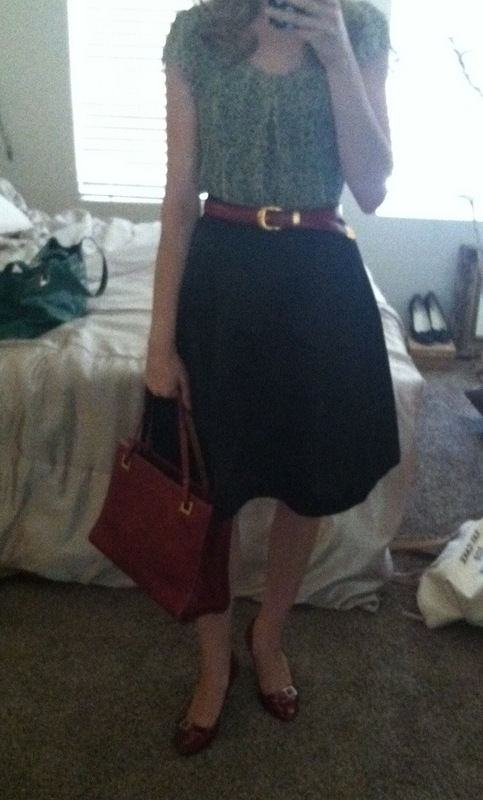 So, if you saw a girl at Disneyland this past Sunday with red sparkle flats & a red flowery skirt, that was me. And oh yeah, a red & white polka dot hat, and a spray bottle! It was SO hot. But we had a blast! I’ll be going again this coming Sunday, and several days next week. The children had a blast! And then today. I had errands and a bit of work. 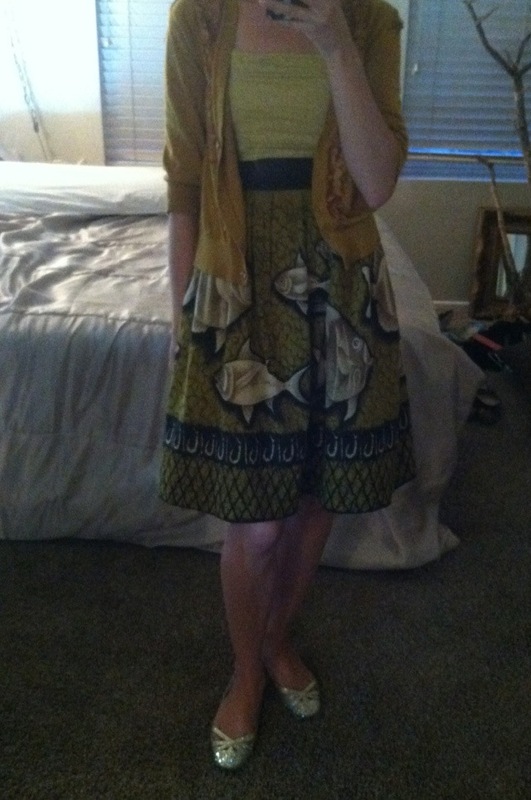 I love this dress, and it was cool enough for a cardigan, so I went with it! I did end up wearing different shoes most of the day though, I feel I wear sparkle flats too much sometimes! And voila! There you go. I apologize to my readers, I’ve had alot going on in my personal life the past few weeks, and blogging comes only if I have time after everything else. I am getting the hang of my new routine, and promise to work on being a better blogger!! Have a wonderful week, I’m excited to share my outfit I planned for tomorrow!! This entry was posted on September 27, 2012 by katespadegirl. It was filed under Outfit of the Day and was tagged with Christian Louboutin, DIY, Jimmy Choo, Kate Spade, strass.